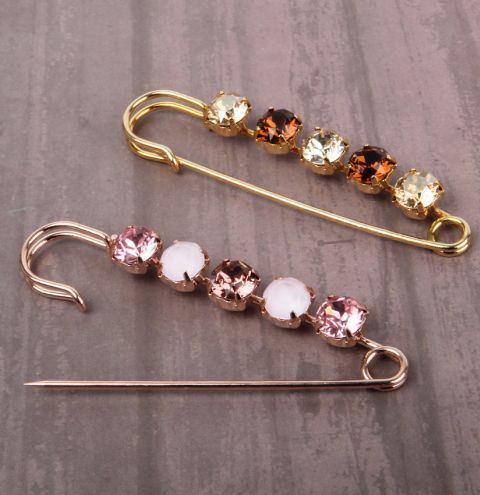 Make a pair of gorgeous brooch pins with Swarovski crystal chatons. Place your chaton crystal into one of the settings and carefully fold over the corners to hold the crystal in place. Repeat this to fill your brooch with your chosen crystals!